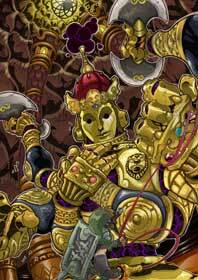 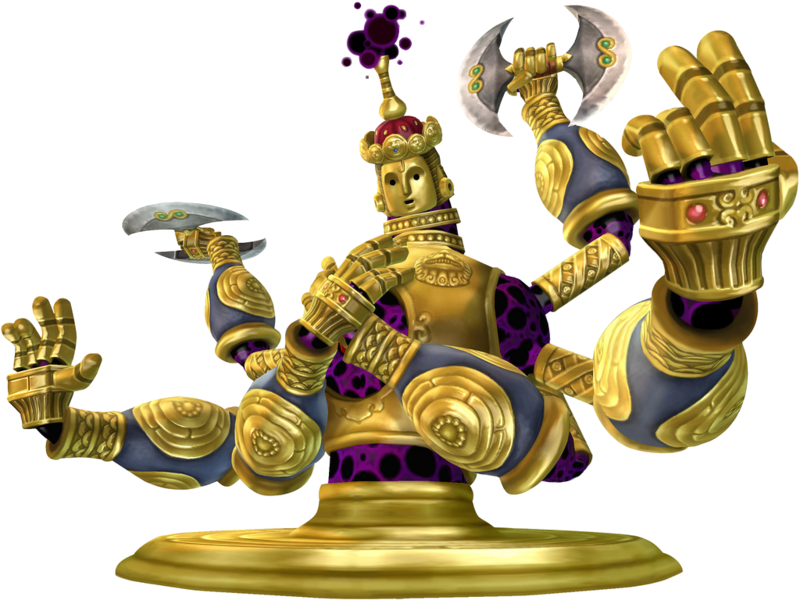 Koloktos is one of the dungeon bosses in The Legend of Zelda: Skyward Sword (2011). Link has to fight it in the Ancient Cistern dungeon and has to use one of its own Swords for the final blow. 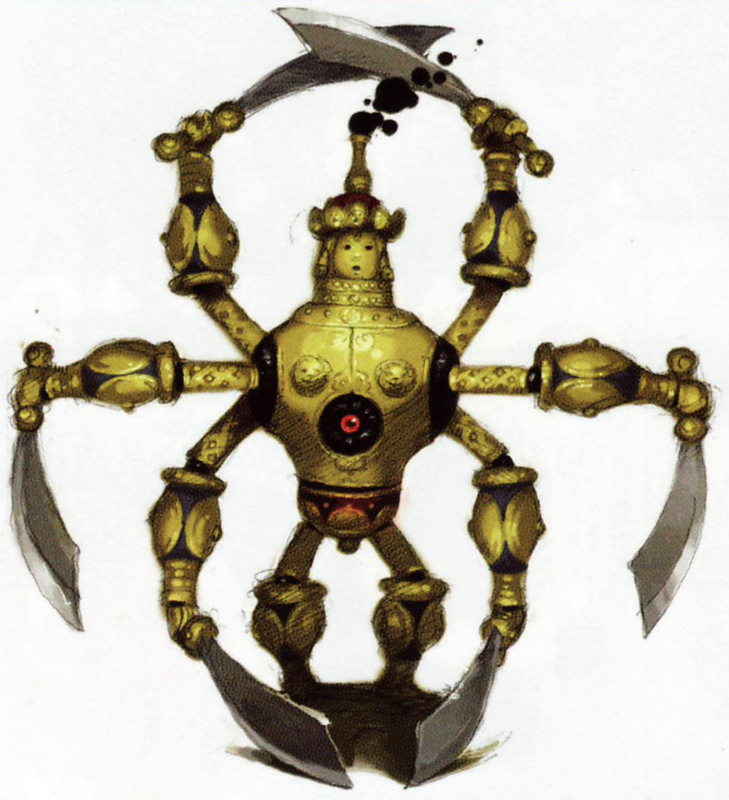 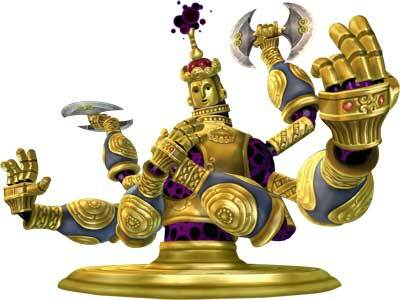 Koloktos is a machine that was manipulated with dark energy by Ghirahim who overtook it before. 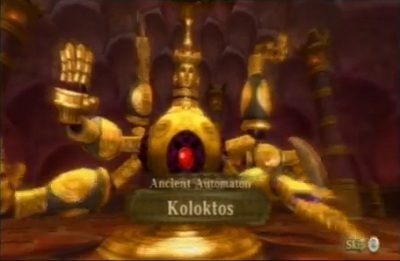 Koloktos is a part of our Link’s Blacklist, a Legend of Zelda bestiary Project.